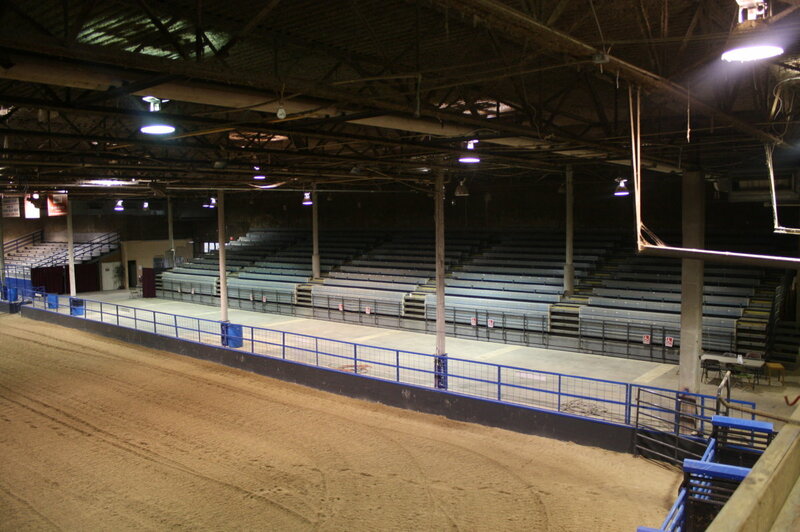 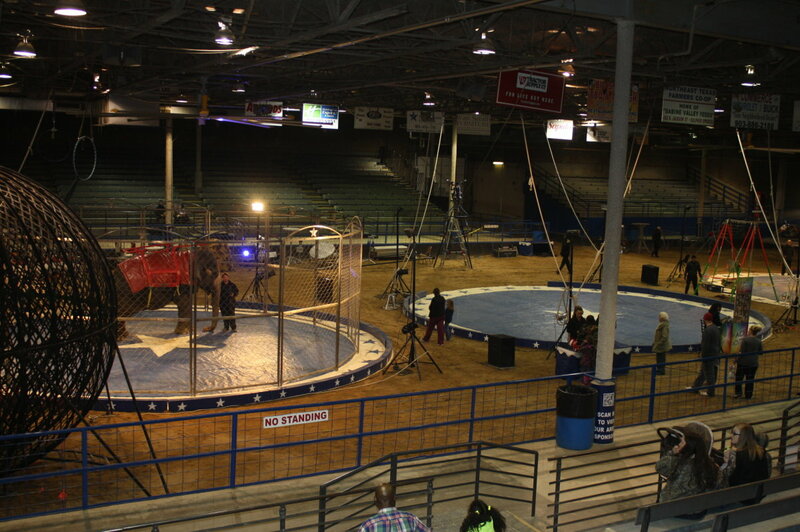 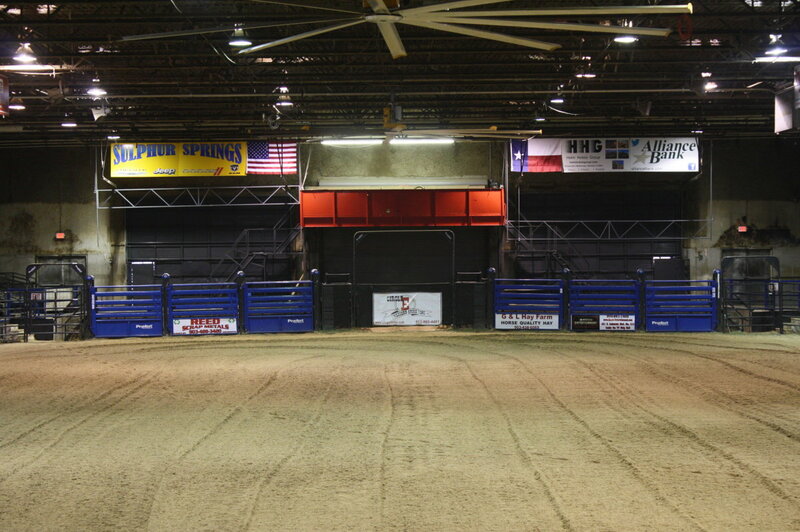 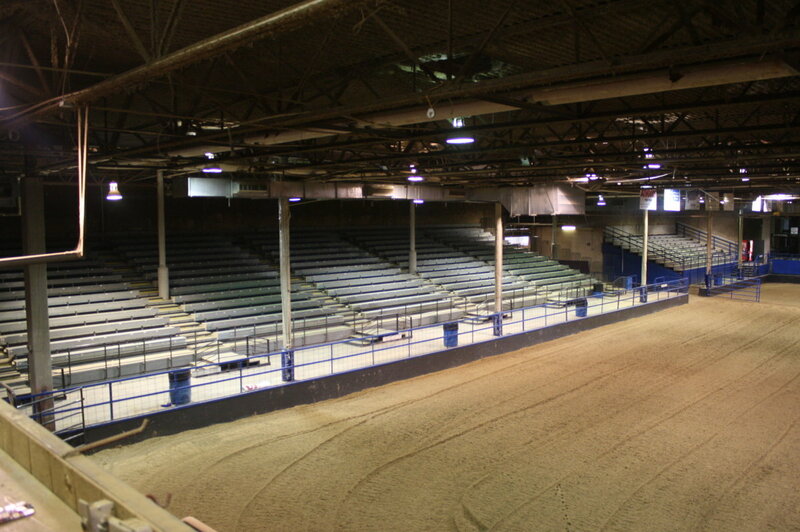 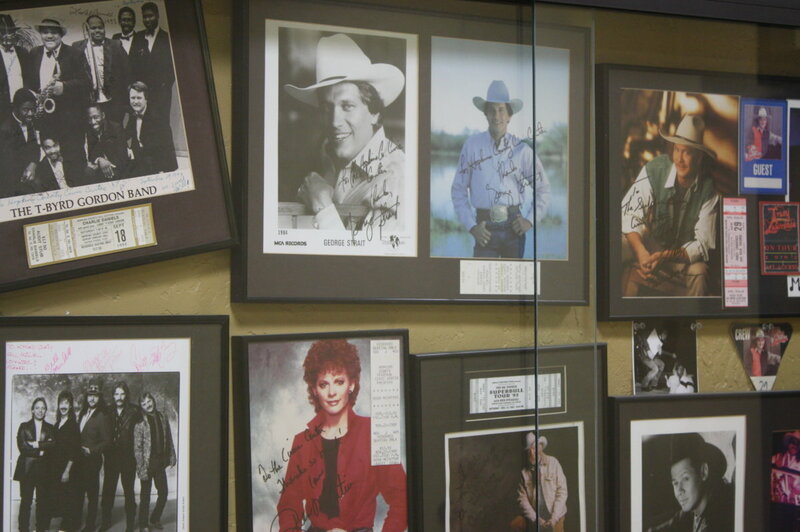 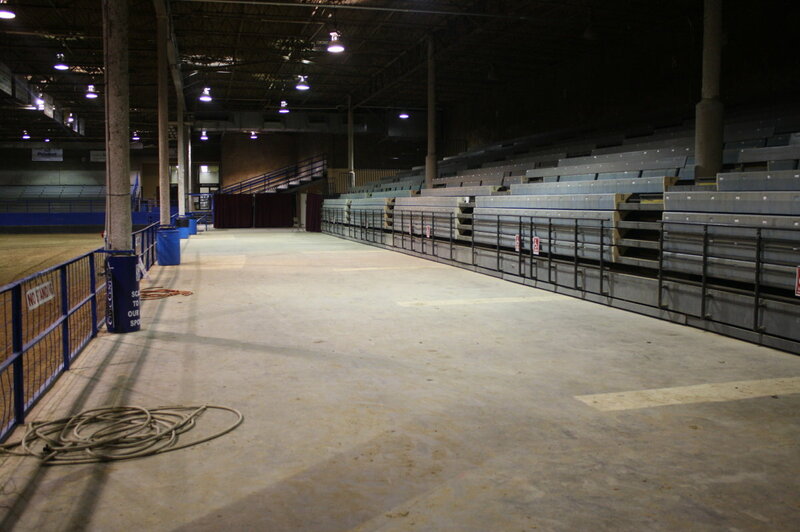 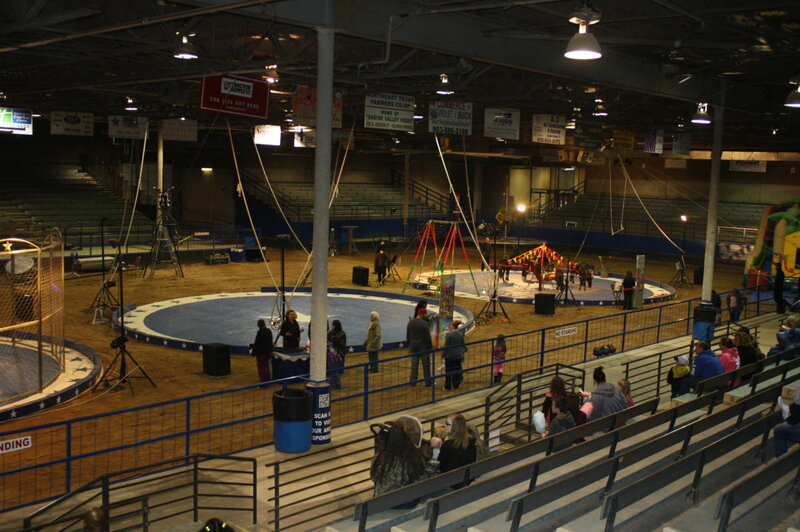 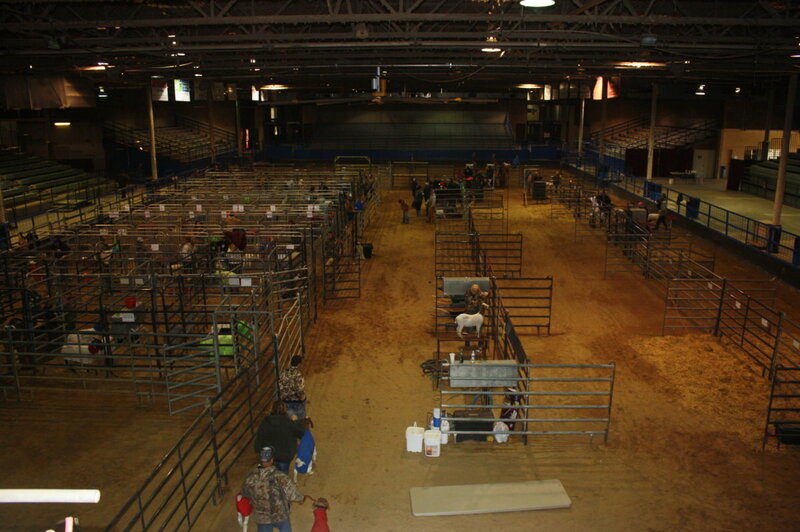 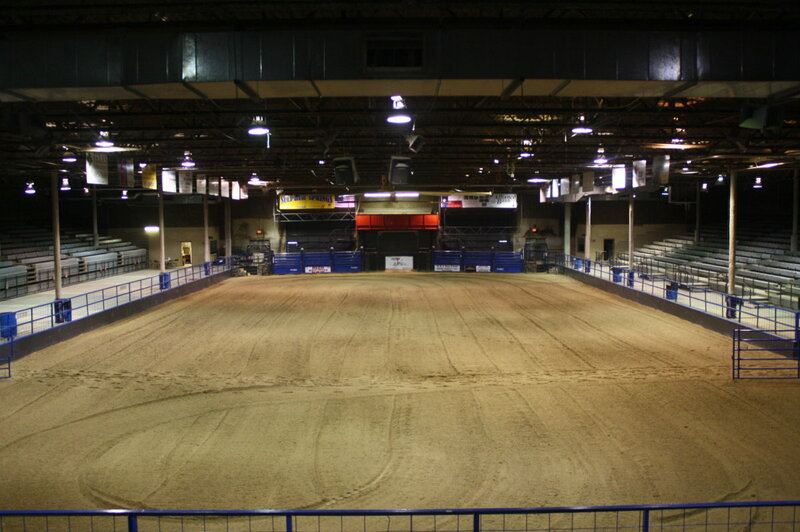 The Livestock Arena at the Hopkins County Civic Center is the perfect place to hold your next large event. 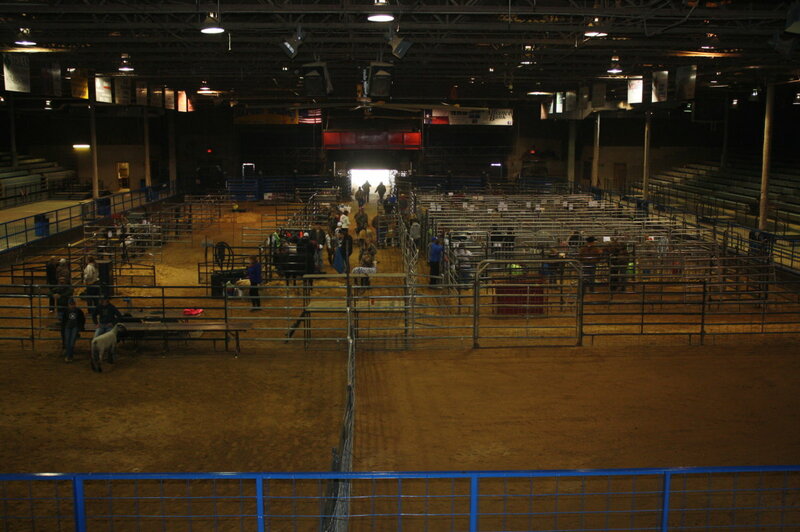 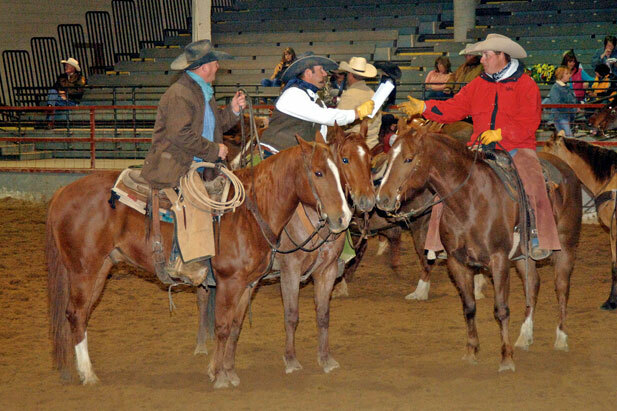 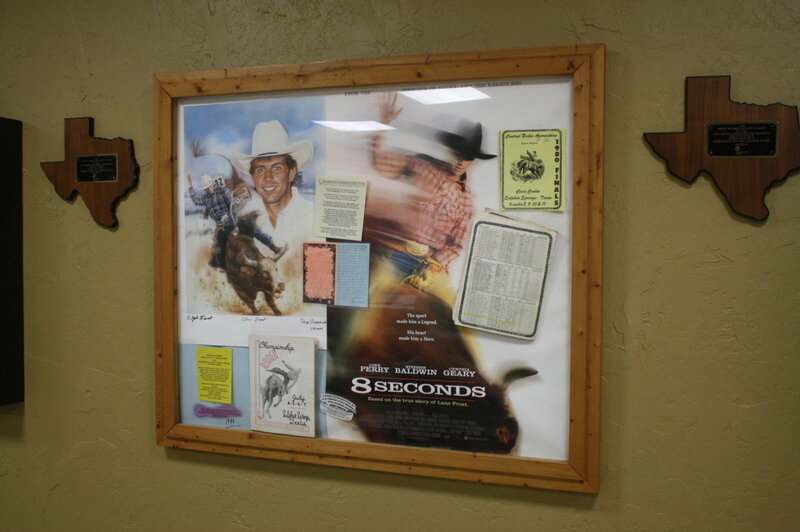 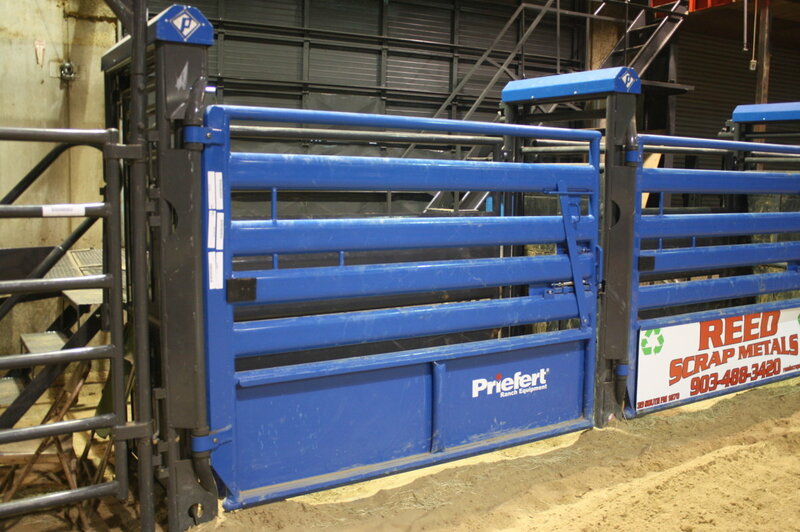 We provide everything you need to set up a rodeo, cattle and horse show, livestock sale, and so much more. 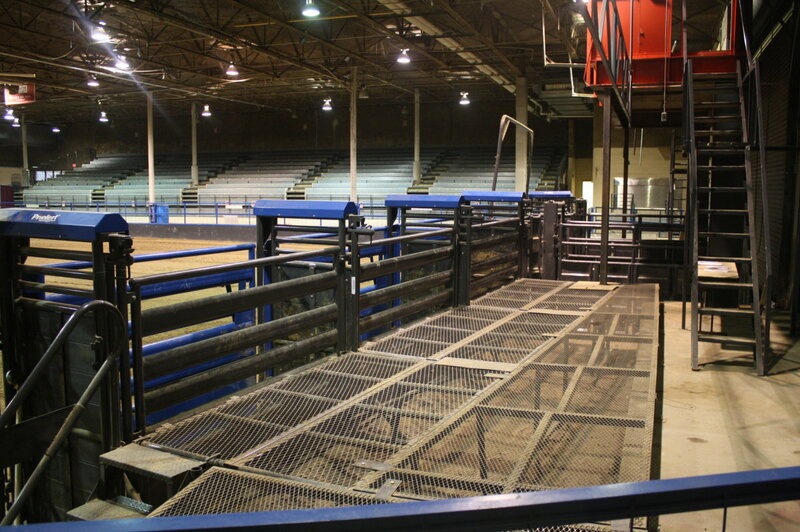 From tie-stalls to bucking chutes, and from portable pens to announcer booths, we have the equipment to make your event a success. 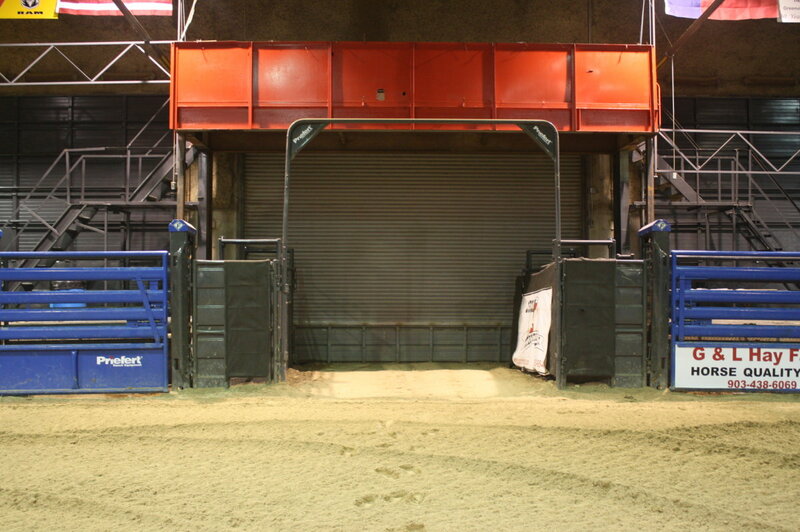 Make your guests, livestock, and yourself comfortable in here. 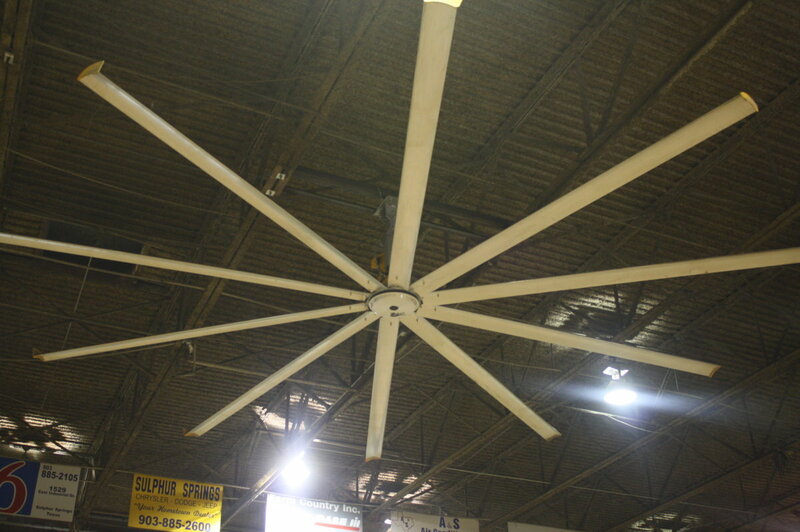 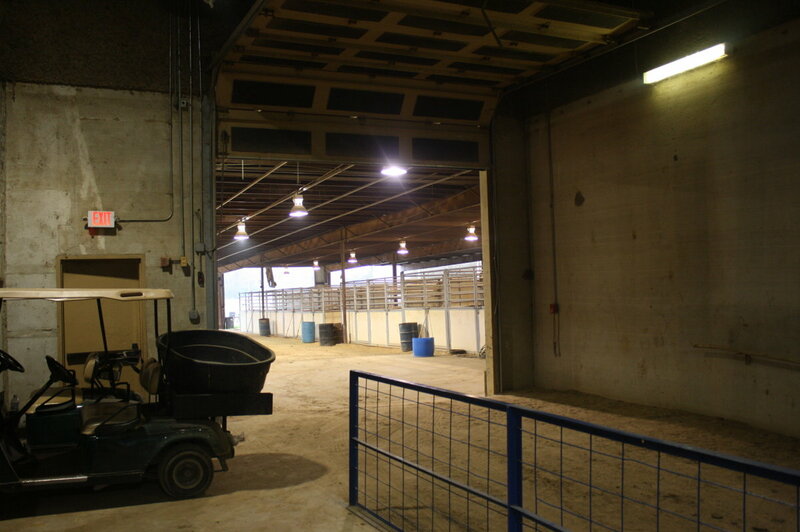 This 27-foot tall indoor arena is climate controlled with heating and ventilation, so you can use it in any weather. 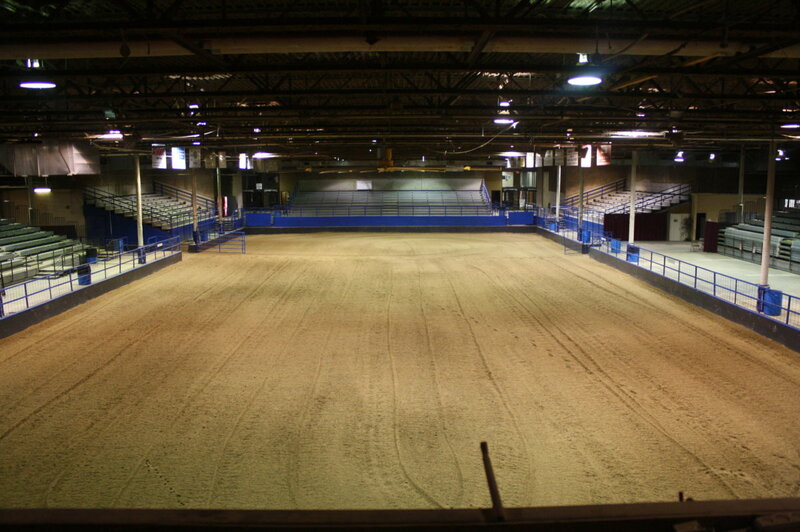 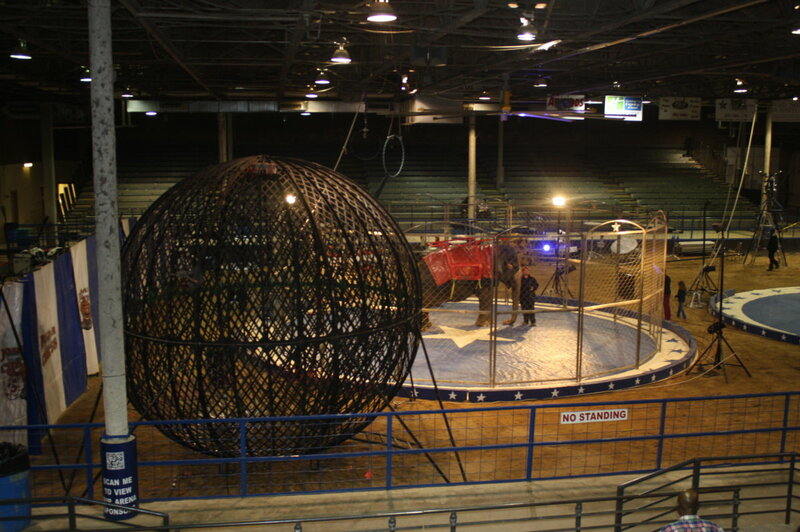 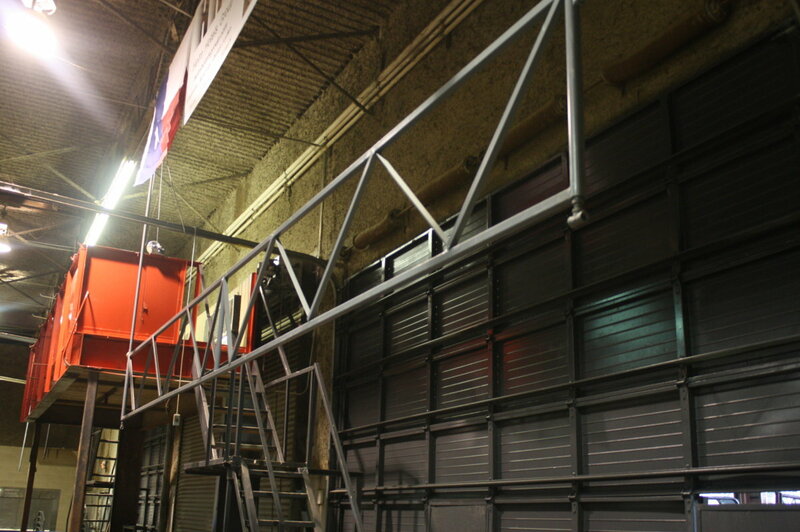 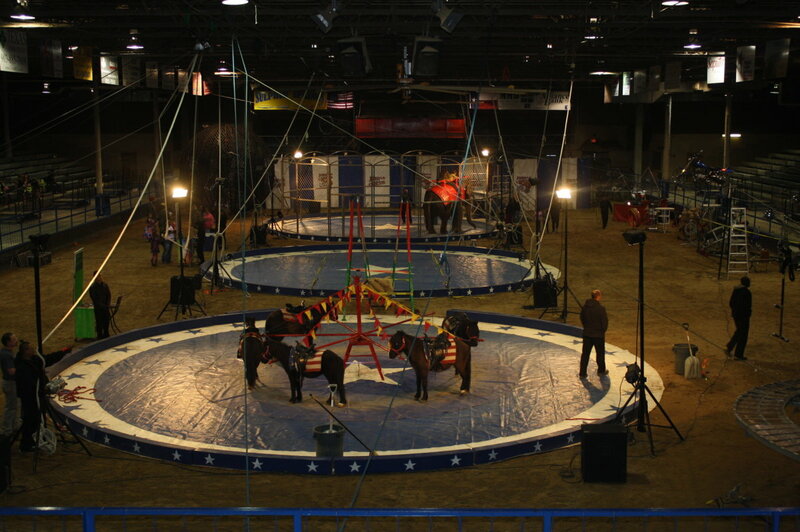 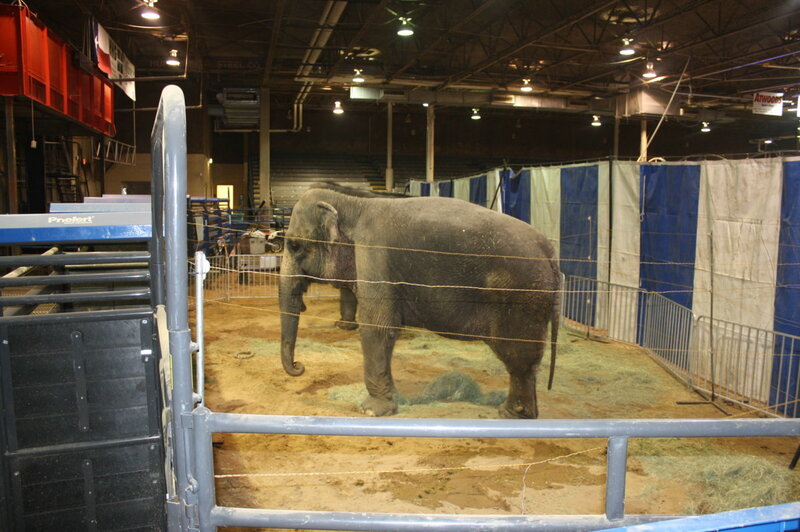 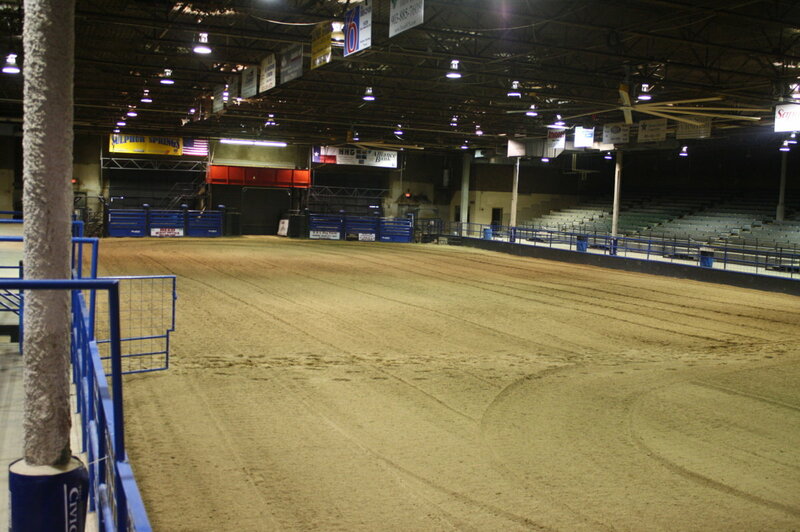 The interior, dirt area, of our arena measures 195′ x 91′. 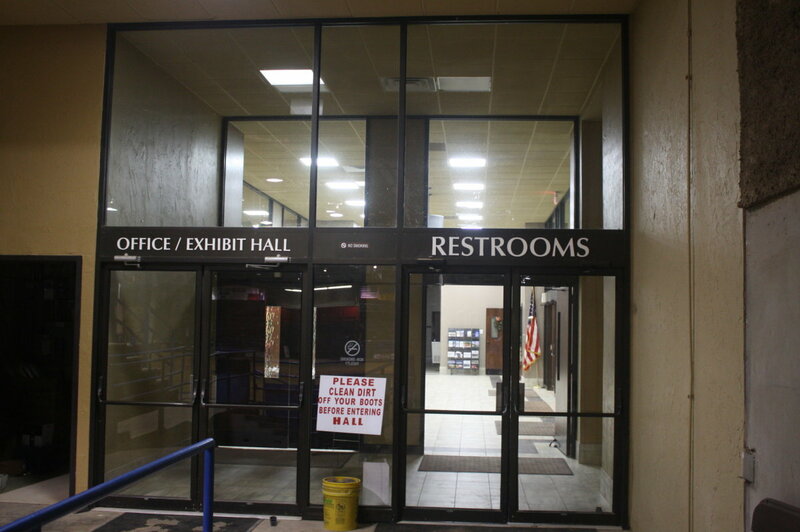 We also provide shower accommodations for our valued exhibitors. 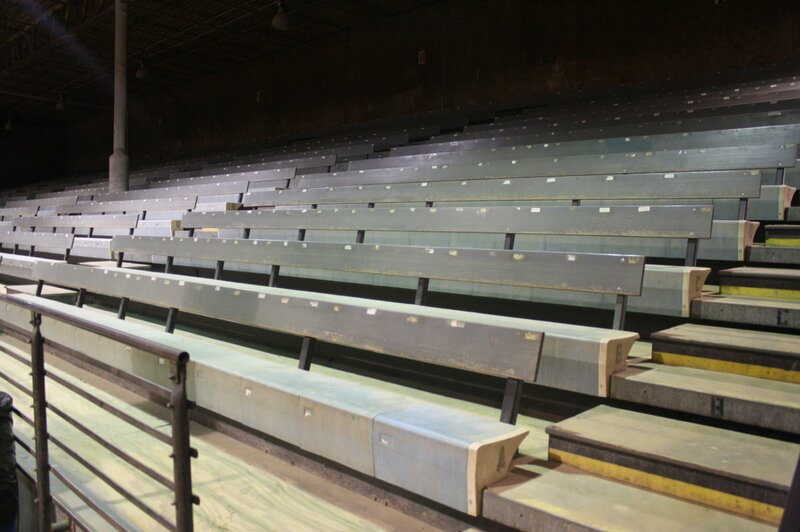 Seat up to 3,500 attendees in the arena’s large bleacher-style benches. 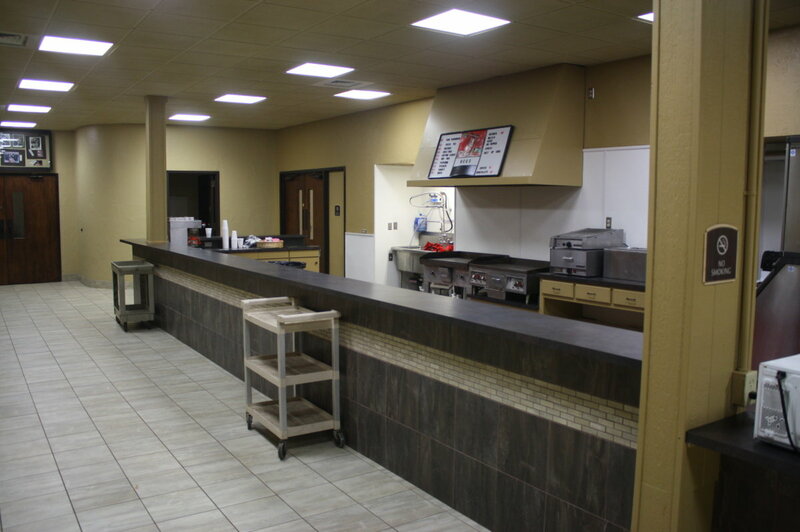 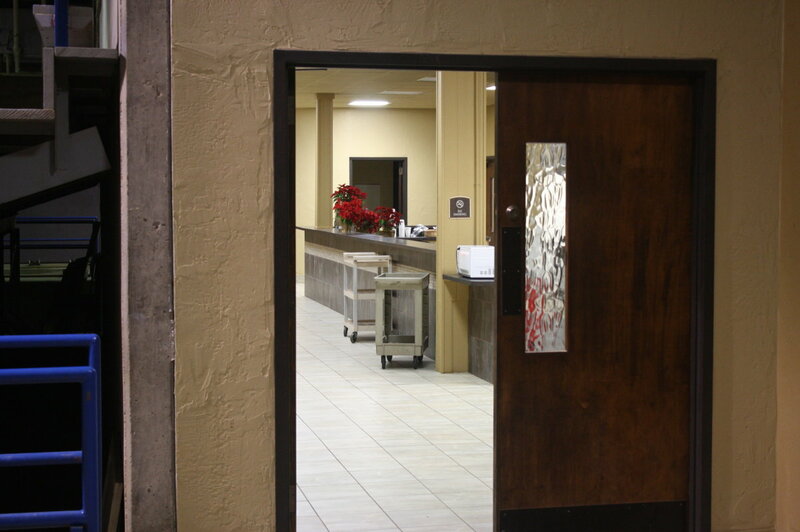 You and your guests will also have access to sparkling restrooms and a concessions. 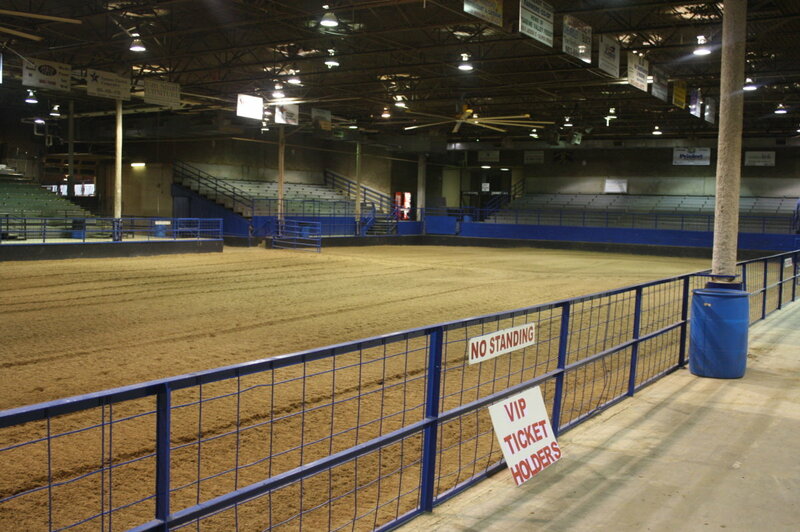 If you have any questions about the arena, please feel free to contact us. 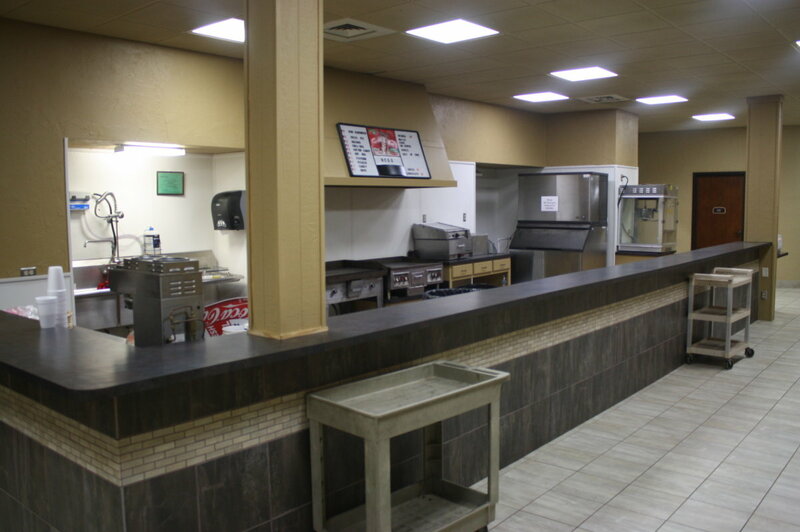 We look forward to making your event a huge success.